While everybody's excited about a trade deal resolution tariffs probably linger making a deal anti-climactic. That can have the impact of sell-the-news when it comes out. As you know we speak a lot about watching action. So if a trade agreement announcement doens't get the market up immediately then look out, you can to get a big down move. Jeremy Siegel (no relation) of Wharton said this week that shorts are staying out of the market despite earnings getting worse. He took that to mean that after a potential "5% pop" on a trade deal shorts will come in. Thinking that through though we don't expect the 5% pop if tariffs linger. If tariffs continue tech and all companies don't get the relief from a trade deal. Without that relief what kicks growth back into gear? Not sure. We called out that if the S&P 500 ETF (NYSEARCA:SPY) broke 277 you'd have more downside. 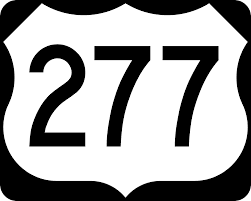 Today's fast move through 277 could be confirmation of a down move coming in the market. Yesterday we also called out some weak action on some decent news. The market showing weakness on good news can be a sign of a peak. This is the first decent sign of a technical break since this up move began in late December. We have the all important Non-Farm Payrolls report coming tomorrow morning. ADP came inline with estimates this week. Either way with the market pointing down for the first time the risk/reward is moving to the downside maybe whatever tomorrow's report brings. The S&P 500 ETF (NYSEARCA:SPY) traded down all day despite having good news. President Trump was reported to decide he needs a trade deal to boost the market to get reelected. ADP reported another strong jobs report today. It was slower than the last couple of months but inline with expectations. ADP can be a precursor to the NFP report coming on Friday. NFP is a market mover. Lastly the Fed's John Williams said that he expects rates to remain low. One negative may be that he called out a coming period of slower growth. Frankly we see the SPY ETF having risk to turn down here. It needs to move up in the next day otherwise the gravity after a long long long move higher, is down. An S&P 500 ETF (NYSEARCA:SPY) close below 277 and we have further risk to the downside. Today's a day without much bad news but a sharp move out of nowhere needs to be listened to. Add to that we just closed topside of 280 and quickly reversed. Stocks that led the market on the way up in the cloud/software space are down big maybe with earnings news mostly behind us. Trade news may sound good but short term the conclusion just gets pushed out to the end of March. So traders may be selling positions they took hoping for a conclusion by now and reload as we approach month's end. In the meantime the SPY ETF above or below 277 will help to tell you what the market wants to do next. We're speaking to numerous tech companies every quarter and helping our subscribers time and size the stocks and stock market. The S&P 500 ETF SPY (NYSEARA:SPY) has been up huge this year. Today was the first day in a while we had trade news and the market didn't react positively. When you see the market or a major ETF like SPY not go up on good news you have a hint of "negative action." Action is a trader's signal what the market does versus what you'd expect. When the market does something other than what you'd expect you have a cue that there may be another unidentified offset. That offset could be simply traders setting up to sell the news. 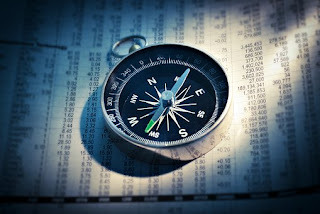 There are of course other fundamental issues out there like a slowing macro, due in part to the trade war.